I grew up in Massapequa Park, Long Island, 30 miles from the great city and came to consider its size and energy the norm for urban centers, only to learn, slowly, it is more unique than typical. I now live in San Francisco and hadn’t been back in 10 years, although it’s seemed as if I’ve been to just above every other major city on the planet. In 2013 it was time to make up for lost time. I’ve made a separate post on the differences between the cold, crowded, dull MOMA and the warm, inviting, innovative Metropolitan Museum of Art. This was a total surprise since MOMA had been ground zero for my discovery of art as an expressive medium in the 1960s. I don’t know if it can ever recover from the disastrous architectural monstrosity of its grandiose but repellent addition. 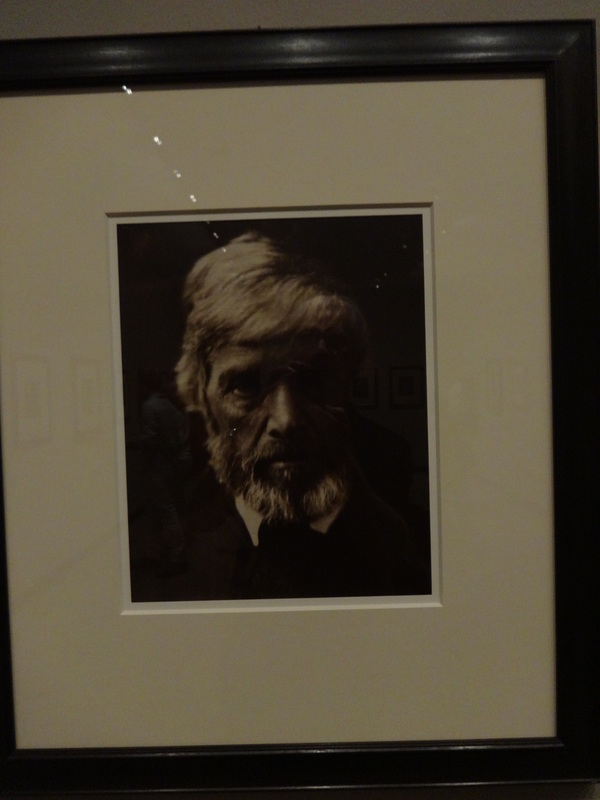 At the Met I discovered the photography of Julie Margaret Cameron, an early 19th C photographer who captured likenesses with amazing insight. She used the camera not for its crisp focus and generous depth of field but as a foggy mirror in which she saw the inner spirit of those she photographed. The images are haunting. A lengthy, quite sensitive discuss of them is in a recent (August 2013) New Yorker by Anthony Lane. He manages to reflect on her work without any of the wit (clever but basically diminishing of him and his subjects) that is a sad staple of his film reviews; it was like reading a different Anthony Lane. Although the show is tucked into just a couple of rooms and could easily be missed, it alone makes a visit worth while. She saw with a distinct, against-the-grain eye that remains both stunning and intriguing today. The same could be said for the more highly publicized exhibition on art and photography related to the Civil War. Found in three different locations, without the cross-referencing that there might be, it is an awesome survey of what photographers and painters saw and captured of that fearsome war. Like the paintings, the photos are almost always after the battles have ended and the photographers can enter the killing fields with time to set up their bulky cameras and wait out their length exposure times but the results are harrowing and precise, unvarnished with the rhetoric of victory and defeat. That the Met draped canvas over the walls of the galleries housing the photographs is a stroke of genius: it effectively transports us back in time and acts as a modest iconic reminder of the rough and tumble world from which these photos arose. Then there is Times Square, a spectacle or inferno, depending on your point of view, but not the tawdry and beloved place of old. Now it swarms with visitors (New Yorkers avoid it like the plague) who can even seat in bleachers to absorb the billboards and crowds that stretch from 45th to 42nd Street. Run-down movie theaters and men in raincoats have long since disappeared. Central Park remains a vital place of green, a haven of calm, a summer’s delight. More roads are now devoted to cyclists and pedestrians. A stroll from the west to the east side remains one of the simple pleasures of city life, especially when it takes you from the Museum of Natural History to the Met in less than 15 minutes. Cars stop at stop signs and yield, patiently for pedestrians, far more so than in edgy, gotta get where I’m going and get out of my way San Francisco or slow me up and I’ll honk you into oblivion Lost Angeles (sic). The number of bikes is surprising, as if Beijing of 20 years ago had arranged a trade with New York. Four African-American enter the C train subway I’m on from 86th St back down to 59th on the west side. The car is fairly full and they huddle at one end. Then they burst into song–a barber shop quartet–and slowly make their way through the car. My hands are full of packages and an umbrella and by the time I can dig into my pocket they’ve passed. The World Trade Center memorial is still little more than a giant construction site but the towers that have been completed truly tower, soaring into the sky with majestic reach. This will be an awesome thing when it’s finally completed but now it is a busy, congested, crowded melange of commuters and tourists. Phillip William’s poster shop is just a short walk away. A cigar style store (much longer than wide), it’s crammed with 1000s and 1000s of posters of all kinds from all countries as well as photographs, publicity stills, postcards and other memorabilia, including some impressive pieces of outsider and African art. It’s one of the little treasures that make cities what they are. The Neue Gallerie and its amazing collection of secessionist furniture, paintings by Kokoschka, Schiele and Klimt, and interior design artifacts is another gem. The cafe prepares classic Austrian cuisine and some of the patrons even manage to find art nouveau and secessionist style clothing for their visit. Small but sharply focused it is a jewel of a museum. I almost don’t mind paying $6 for a cup of coffee to go with my apfelstrudel. It’s a day later and the same four men get on the subway again! This time I move more quickly and have some money to give them as they pass. I wonder if all the others giving money are visitors like myself, on the one hand, and if I gave enough for their lively, engaging music, on the other. Memories keep people, places and things alive. These are some of mine from a visit to New York in August, 2013. This entry was posted in Art, In My Opinion: The World Around Us and tagged Central Park, Metropolitan Museum of Art, MOMA, Neue Gallerie, New York City, Phillip Williams, subway, Times Sqaure, World Trade Center by billnichols99. Bookmark the permalink.